It’s that time of year again, when houses are covered in spider webs and tombstones, and coffins are scattered around the front lawn. Although Halloween in the U.S. is filled with spooky stories and trick-or-treating, other countries around the world often celebrate a different event altogether and know little about what we call Halloween. October 31st was originally a Celtic New Year’s Eve known as Samhain. Pope Gregory III wanted to “Christianize pagan traditions,” so he merged these two celebrations and it became known as All Saints’ Day, which is on November 1st. However, the night before this day is what is known today as Halloween. One of China’s Halloween festivals is known as Teng Chieh, where families celebrate the lives of their relatives who have passed away before them. In order to honor these family members, relatives will place food and water in front of their photographs in addition to lighting bonfires and lanterns as a way of lighting the way for their relatives’ souls to return to earth. Another festival is called The Feast of the Hungry Ghosts, also known as Yue Lan, named for individuals that were not properly buried when they passed away. The common belief is that the souls of these individuals try to take their anger out on the living because they were not given a proper burial by their families. During the ritual, joss sticks, food, and gifts of paper are all offered to these ghosts. Unlike the rest of the world, their Halloween holiday (La Fete d’Halloween) is intended to honor their departed ancestors. Similar to the U.S., costumes are worn but are traditionally scary, and trick-or-treating is from store-to-store as opposed to door-to-door. Stores, malls, restaurants, and even offices decorate their windows. This holiday is rather controversial in France because the general public does not understand what is being celebrated, and some view it as an American imposition. The Japanese celebrate the Obon Festival, which is similar in that it is dedicated to the spirits of families’ ancestors. Red lanterns are hung, special dishes are prepared, and lanterns are lit and set afloat in both the ocean and on rivers. The light was used as a way to show the ancestors where they could find their families. Obon is one of the two main occasions when the dead are believed to return to their birthplaces. English children made “punkies” out of beetroots by carving various designs on it. Eventually, Halloween became Guy Fawkes Night, but recently, Halloween has been celebrated on October 31st, in addition to Guy Fawkes. On November 5th, fireworks are set off and bonfires are lit throughout England. Guy Fawkes Day festivities were designed to commemorate the execution of Guy Fawkes, a notorious English traitor, who took the blame when the Catholics plotted to blow up the English Parliament. -Turnip lanterns are placed on gateposts as a way of protecting homes from spirits that are believed to be roaming around on the night of Halloween. 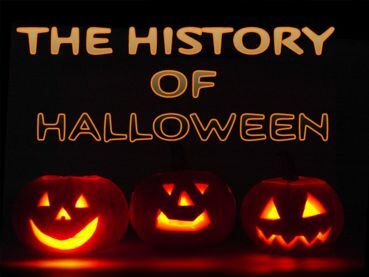 For the most part, Halloween is not particularly popular, and it decreased greatly with the spread of Martin Luther’s Protestant Reformation. El Dia de los Muertos, also known as the Day of the Dead, is a three-day celebration that begins on October 31st and ends on November 2nd. The atmosphere is supposed to be happy because it was a time to remember friends and families who have died and to honor the dead. A basin and towel are often left outside so that the spirit can wash before indulging in a feast. Graves are often decorated with flowers, wreaths, or streamers. Spicy meat dishes, batter bread, and sweets shaped like skulls are often prepared. The entire celebration is about life from birth to death.